Excite your customers even more with your menus and with ease with our All-in-One Package Solution ‐ 24/7 Commercial Panel, Android Network Media Player, 1 Year Free Software Subscription and a Library of Templates to choose from. 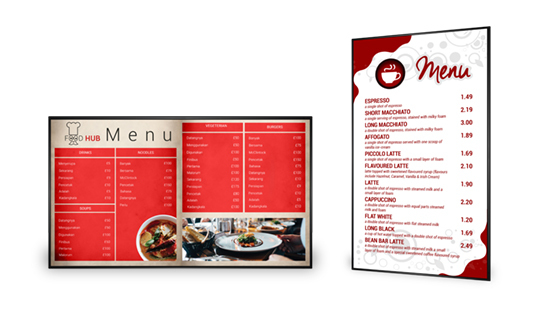 Bring your menus to life with our innovative display package! 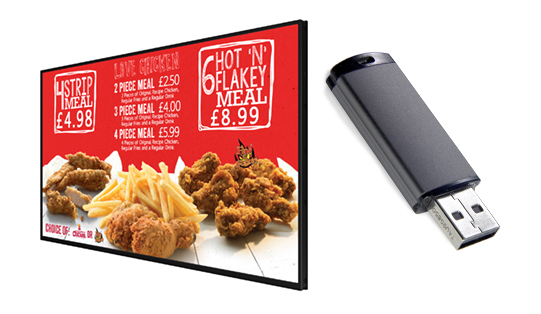 All the components you need for a network Digital Signage project from the same supplier for one great price. Available in sizes 32”, 43”, 50” and 55”. 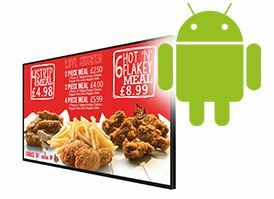 Thinking digital signage for the food industry is too complicated? Think again J A simple and cost effective out of the box solution is here! Struggling with content ideas? Don’t fret, with our exclusive library of pre-designed templates you’ll have plenty of ideas. Add your own flare to each template as they are fully customisable. Creative enough? Design your own artwork from scratch. unrestricted access to the software as well as our lifetime technical support of course. You can also purchase 3 additional year’s access at the point of purchase or make a one-off payment to have access for life. perfect for use in commercial environments as menu boards. 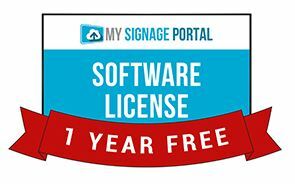 Also including a built-in Android Media Player so you can connect your screen via Wi-Fi or LAN to the internet then update from our user-friendly portal ‐ www.mysignageportal.com ‐ quickly and conveniently. 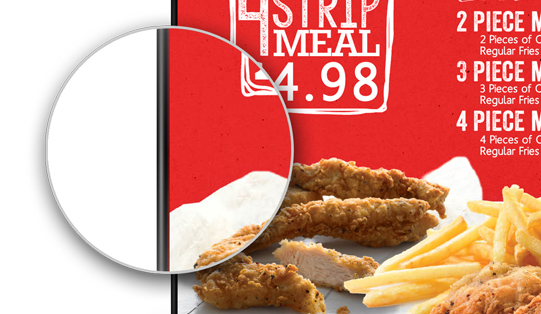 The narrow bezel of these displays makes it easier to place them side by side giving the impression of a virtually seamless display thanks to their thinner edges and superior image precision. Integrated speakers if audio is needed. 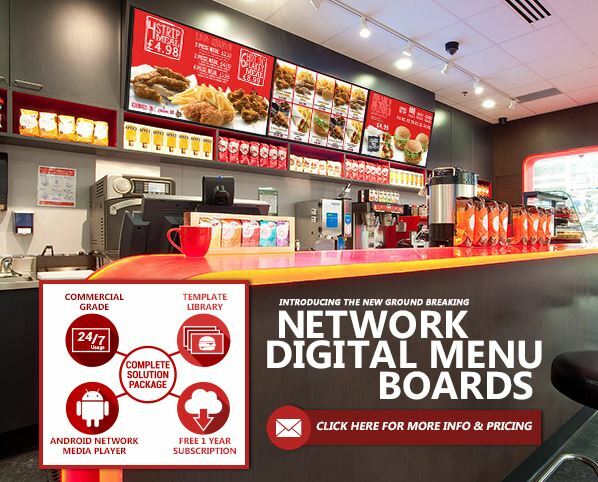 These new Network Digital Menu Boards are going to revolutionise the Menu Board market. We have 32”, 43”, 50” and 55”. models in stock now and available for immediate dispatch. 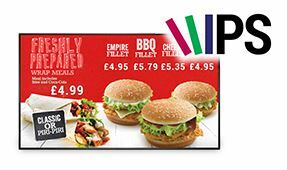 Get in touch today to take advantage of these Digital Signage displays. For more information including pricing and a data sheet please email info@crystal-display.com or call our main office on +44 (0) 1634 327 420.